Change for change! A Monster Mash event was held on Oct. 18 in the Student Life Centre to raise money for the United Way. Conestoga is a proud supporter of the organization and holds a fundraising campaign every October to help contribute to the community and raise awareness. Dillon Hunter, a student in the business foundations program, said he was called, “the mascot without a costume,” and was gathering people to inform them on what the United Way is. “We’re doing a fundraiser for the United Way in order to raise money for the less fortunate,” he said. Students from the program held the event as part of a course called student success for higher learning. It is an initiative through Campus Service Learning where students succeed in their course outcomes through activities in the college community. 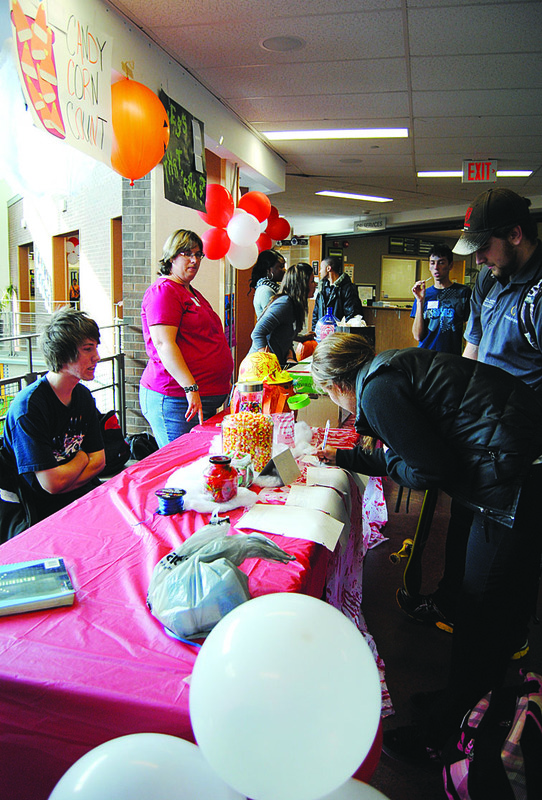 Students held games such as Haunted Hockey Shoot-out, Creepy Corn Count, Human Ring Toss, Guess That Feeling and other fun events to raise money and encourage others to get involved. Many students contributed by donating and participating in the various games provided. Every year, faculty, staff and students donate generously with proceeds supporting various organizations in the community. This year, the goal for the Conestoga United Way campaign is $50,000 and you can see how the college is doing via a poster of a thermometer placed outside Tim Hortons.